This letter was written by Pvt. Jacob Henry Woodsum (1843-1888) of Vassalboro, Maine, who enlisted in October 1862 in Co. D, 21st Maine Infantry for nine months service. He was mustered out in late August 1863. Registered voter in San Francisco in 1869 and 1873. Resident of Orange County, Florida in 1880, where he died in 1888. He was the son of David and Eunice T. Woodsum. Jacob’s father was a wheelwright. His sister Maria (b. 1842) was a teacher in the 1860 census. The regimental history of the 21st Maine indicates that Jacob was wounded in action on 27 May 1863 as Federal forces attempted to take Port Hudson in a frontal assault. They were repulsed with heavy casualties and settled into a siege that would last 48 days. Port Hudson would not be surrendered until after the fall of Vicksburg. 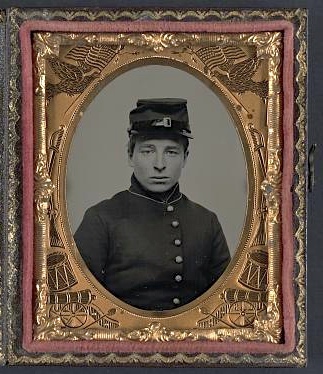 After his service in the 21st Maine Infantry, Jacob re-enlisted in Co. G, 1st Maine Cavalry. I haven’t dared to write home before because I have been in the hospital about two weeks sick with the diarrhea but I have not been alone for Charles has been sick and with me all the time. But we are all right now and back with the company. I thought it would only make you worry all the time if I had written that I was sick. Our regiment and whole brigade went up towards Port Hudson while we was in the hospital. The regiment had been under marching orders two days before I gave up and I didn’t exactly do so, for Charles had been sick since the morning we got marching orders, and the Dr. came in to see him and said both of us must go to the hospital for we couldn’t possibly stand the march, so we got clear of some hard marching by being in the hospital. I don’t think we will have any fighting to do, Mother, and I think we shall start for home in a month or six weeks. I tell you, Mother, I thought of home when I was in the hospital. How I should like to have something good to eat. It seemed as if I had been at home, I could [have] got well in no time at all, but that was a complaint we are not troubled with there — but everyone has it here. Oh! Mother, if I ever get home, I guess I shan’t want to go to war again. I am not sorry that I did come by any means, for I never should have been satisfied. 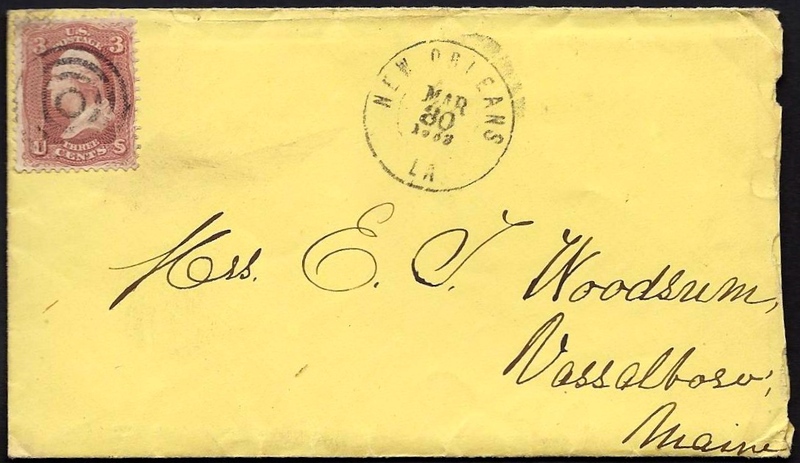 Tell [my sister] Maria I have received two letters from her — one dated the 26th of February and the other the 10th of March. I also received the papers. I am rejoiced to hear that Father is gaining. I think it is wrong for Maria to go to school when you must be so slim. I don’t see what it can amount to — her education is good enough.